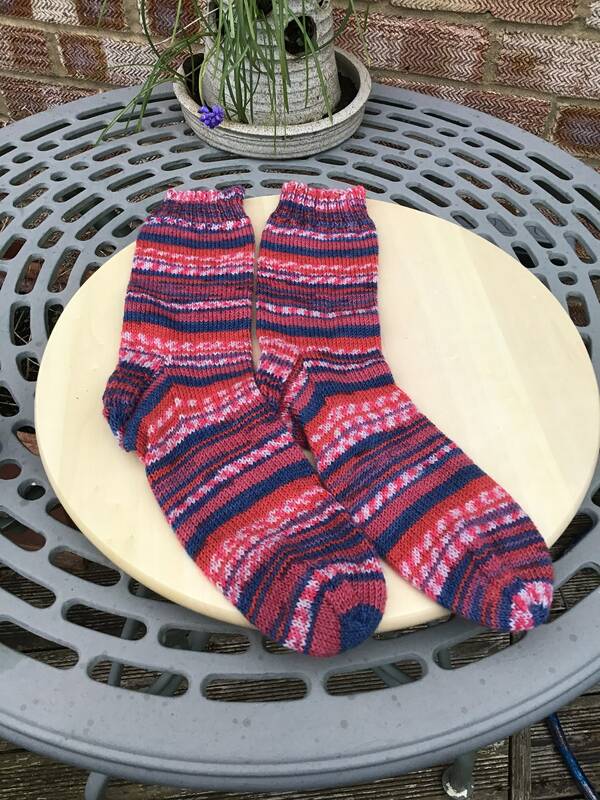 A pair of hand knitted socks using Schoeller & Stahl 4 Ply sock yarn which is a mix of wool and and polyamide. Machine Washable at 30 deg. Recommended that fabric softener is not used.